LIMITED TIME OFFER | UNLIMITED PLAY! THE GIFT OF PLAY | GIFT CARDS AVAILABLE! We have gift cards available to purchase in-Store. Give the gift of happy and healthy play this Holiday Season! 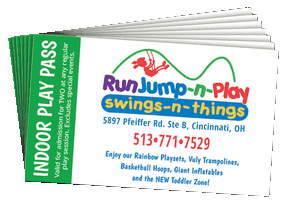 Indoor Playground includes: Swing Sets, Trampolines, Basketball Hoops, and Toddler Zone. We have a brand New Snack Bar installed in the back, serving an array of delicious snacks and hot & cold foods. Nutritious options include items such as string cheese, fruit cups, GoGo Squeeze, and apple slices. We also have hot basket combos like cheeseburgers, 6 pc chicken nuggets, and pizzas! Follow the link to view the whole menu. Please Note: When the giant inflatables are open, children 36" and taller (exceptions based on child's capability) will be required to pay an admission fee of $12.00. This gives your child full access to our facility. This is a policy change since most of the children (36" and taller) will find a way to make it into the inflatables LOL. Thank you. Please Note: Socks are required at all times in the facility and no outside food or drink is permitted. 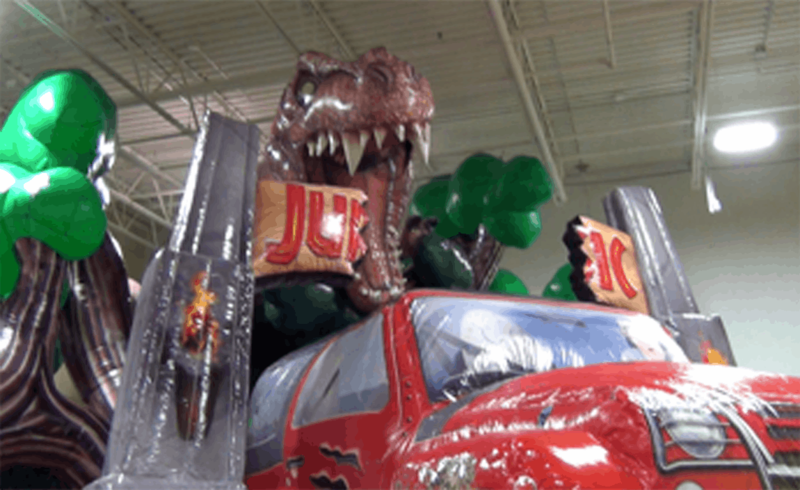 We have many special event days when the entire facility is available including the Giant Inflatables. Passes including groupon offers etc. are not redeemable on these days. Please see our calendar for special event days. Special events include but are not limited to Winter Break, Spring Break, New Years Eve, MLK day etc. 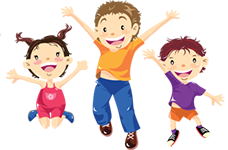 Since Run Jump-n-Play has opened we have been committed to providing a safe place where your kids can run, jump, bounce, imagine, play, and well... act like kids. Our new facility has thousands of square feet dedicated to childhood. With a better designed layout, we have one of the largest Indoor Playgrounds around! Wall to wall Rainbow Playsets where the magic of childhood turns swings, slides, monkey-bars, and rock walls into adventurous mountain sides, jungles, rockets, and even pirate ships. Even mom and dad will want to experience that blissful feeling of freedom by bouncing on our Revolutionary Vuly Trampolines. Vuly Thunder Trampolines are springless which means no legs getting trapped! High bounce performance and are made with a soft edge design for the kids. If you like to keep score you’ll love our Goalrilla and Goalsetter Basketball court. With hoops of various sizes and heights you can play HORSE at a whole new level! We added a Toddler Zone in 2016 and have brought it over to our new facility in Blue Ash! A soft and safe place where little ones can play and explore. This specially designed area offers educational activities and sensory interplay. Run Jump-n-Play offers two types of sessions: Indoor Playground and Inflatable Open Play, which adds access to our highly sought after Giant Inflatables. Bounce houses, slides, and obstacle courses fill our inflatable arenas.